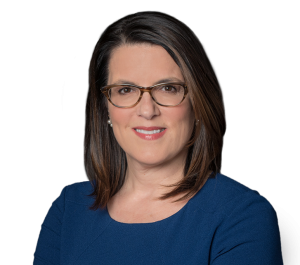 Arrive magazine has recognized Patricia M. Giordano, a Philadelphia trial attorney with Feldman Shepherd Wohlgelernter Tanner Weinstock Dodig LLP, as one of the region’s top women attorneys in the field of personal injury law. Arrive based its “Top Women Lawyers in the Northeast” listings on the comprehensive Martindale-Hubbell® database of Martindale-Hubbell Peer Review Ratings„¢. Only those women attorneys rated by their peers as AV® Preeminent„¢ — the highest rating available — were eligible for inclusion in “Top Women Lawyers in the Northeast.” The AV Preeminent rating is a significant accomplishment indicating that a lawyer’s peers rank that attorney at the highest level of professional excellence. In addition to demonstrating the highest ethical standards, AV-rated lawyers possess exceptional legal knowledge, analytical capabilities, judgment, communication ability and legal experience. With extensive litigation experience in the Philadelphia region, and Southern and Central New Jersey, Giordano counsels and represents individuals in complex litigation, including catastrophic personal injury, medical malpractice and pharmaceutical errors. She appears on behalf of clients in various trial courts and has authored and argued numerous appellate briefs before the Pennsylvania Superior and Commonwealth courts. A selection of Giordano’s recent accomplishments includes a $2 million arbitration award in an obstetrics malpractice case, a $1.2 million settlement in a wrongful death matter, a $4 million settlement in an obstetrics case, a $4.5 million settlement in a dental malpractice matter and a $4.25 million settlement in an obstetrics case. Giordano is an active member of several professional groups. She was appointed to the New Jersey Association for Justice (NJAJ) Board of Governors in 2011 and serves as Co-Chair of the organization’s Women Lawyers Caucus. In addition to the NJAJ, she is a member of the Philadelphia and Camden County Bar Associations and the Philadelphia Trial Lawyers Association. Active within her community as well, for nearly a decade Giordano served as Chairperson of the Camden County Child Placement Review Board, a group of community volunteers who provide recommendations to the court regarding the placement of children taken out of the home and termination of parental rights. She also serves as a mentor for local high school and college students considering a career in law through programs such as the Philadelphia Bar Association Advanced Civics Education (A.C.E.) program. Giordano is a graduate of the New England School of Law, where she received the Student Bar Association Outstanding Achievement Award. “Top Women Lawyers in the Northeast” appeared in Arrive’s July/August issue.